Welcome to the Harvard Library’s Slavic collection blog maintained by the European Languages Division of Widener Library. In this blog we publish the latest news about the collection, such as new acquisitions, gifts, special collections as well as our efforts in improving access to the materials through cataloging and digitization. 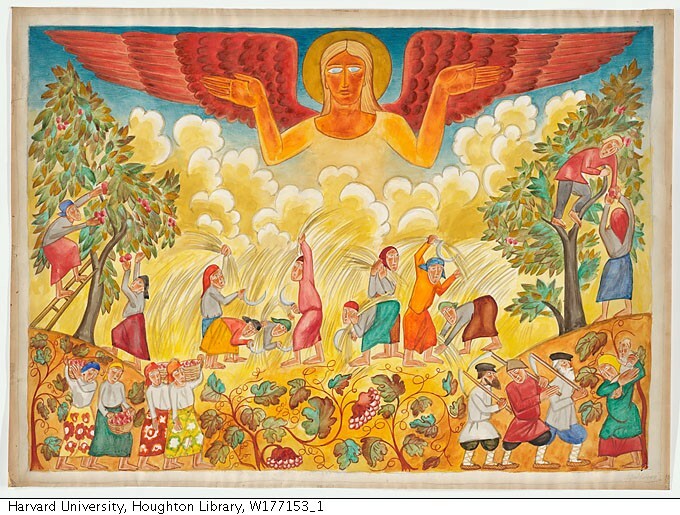 Harvard University holds one of the largest Slavic collections outside the Former Soviet Union and East Central Europe. It includes over 850,000 volumes in the areas of the humanities and social sciences, as well as manuscripts, rare books, and materials in the areas of fine arts, music, anthropology, ethnology, law, and science. In addition to books, serials, and microforms, the collection includes audio-visual materials in various formats, posters and ephemera, as well as e-books and electronic databases with Slavic content. For questions related to the content or functionality of this blog please feel free to leave comments on the blog or to e-mail Anna Rakityanskaya at the European Languages Division of Widener Library : rakityan@fas.harvard.edu.